Get your barbell ready because it’s time to add a bit more win to your forearms. Here are reverse wrist curls for your wrist extensor muscles! Last week’s barbell wrist curls took care of the wrist flexors, muscles on the inside of your forearms. 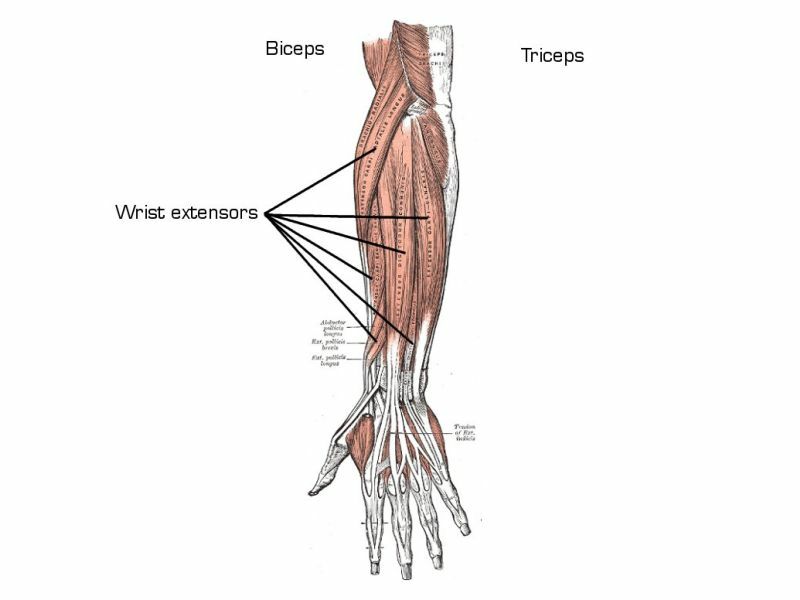 This week we are going to do it for the muscles opposing them, the wrist extensors. The gang opposing your wrist flexors: the wrist extensors. Just in case I didn’t hint at it enough: the wrist extensors and flexors have to stay in balance. So please give both equal love. Last but not least, throw in those reverse curls for the brachioradialis to get the total forearm workout. As I said last week, lack of a barbell doesn’t have to keep you from doing these exercises: here they are as part of a complete forearm training.